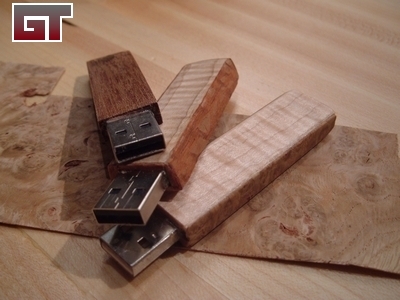 I had a broken and bent USB key and I had extra wood so this seemed like the best thing to do. 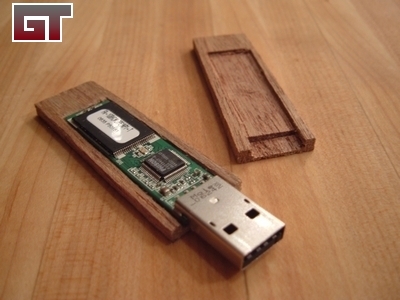 The original key wasn�t able to hold the PCB board within the case anymore, so whenever I pulled the key out of a USB drive the plastic housing would come off but the key would stay on. The USB connector was also bent from normal wear and tear. I readjusted the connector and touched up the solder joints before measuring and laying out the PCB. 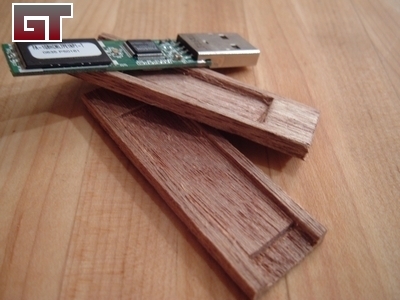 I started out with a piece of mahogany that was approximately an 1/8th of an inch thick and then I measured the width of the USB key so I would know how much stock I would need. After cutting out a strip of the mahogany stock I cut that strip in half so I would have a top piece and a bottom piece. 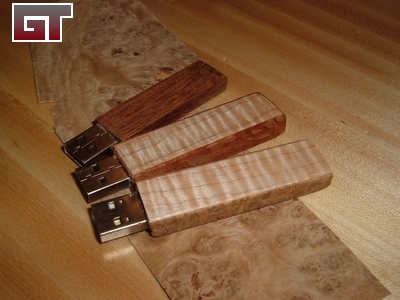 I decided to start with the bottom half first since it seemed easier, I scribed the outline of the USB key onto both pieces of mahogany. I pared out a recess into both pieces of wood making sure to fit the PCB board now and again to prevent over shooting required depth. Not all manufacturers use the same chips some are thicker than others so keep this in mind when making yours. 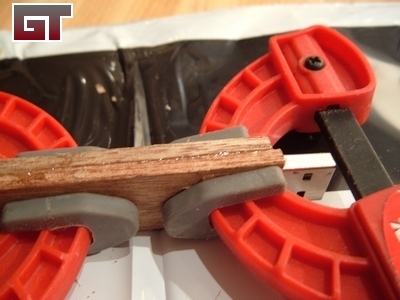 Notice how the top side has the connector protruding upwards, we will have to account for that when cutting the top side. But otherwise the bottom is pretty straight forward. 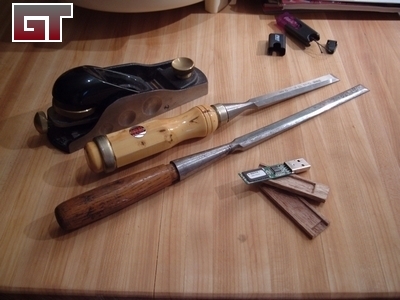 I used a 2 chisels and a block plane to complete this part of the project. The width of this particular PCB was 12mm wide; if you have metric chisels perfect, if not you don�t really need to worry it�s just a little extra work. After the fitting process I mixed up some quick cure five minute epoxy and spread it on the PCB boar. 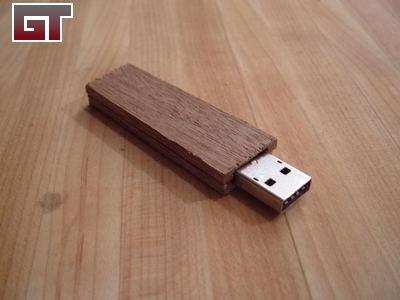 Note that once you do this you will not be able to remove the board from the wood ever again. The epoxy will not interfere with the functionality of the USB key since epoxy is used to encapsulate chips all of the time. This is especially true when a chip isn�t meant to be seen or removed (black epoxy is used in this case). I finished the piece with a few coats of gel polyurethane. 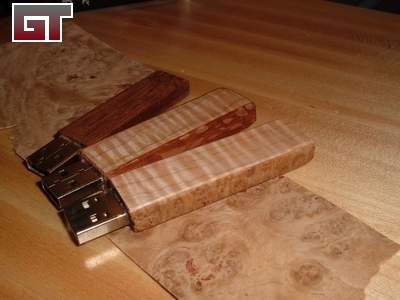 Also feel free to experiment with veneers since wood stock is so small there shouldn't be any trouble with veneering. Here is the finished product. Thanks to Chris W. for sending in this guide!